How does the brain work? What makes it change? Most people will at some point in their life come through a behaviour or habit they have that limits their life. Whether it’s using food as an emotional crutch, having a bumble bee phobia, biting their nails or even smoking. A lot of the time, we simply need to learn to live with those, but sometimes therapy is necessary when those bad habits get too debilitating. But how does therapy help? When you look at the brain from a neuroplasticity perspective, I believe it is quite important to target the right therapy. A lot of issues and patterns have their roots in our past, and a lot of the time the first step towards healing is to actually understand where and when those patterns got created. Perhaps one of your parent was quite critical and as a result you developed a people pleasing behaviour or a fear of getting into trouble. Perhaps your parents paid more attention to one of your siblings than you and you developed a core belief that you are not loveable nor worth being loved. Traditional therapy or talking therapy can be of great help in order to identify the discomfort and where it comes from. It can also allow emotions to be released instead of being stored in the body and later create depression or illness. However when does it become useful to move to the next level? What happens to the brain during those extended talking therapy sessions? Neurons that are used frequently develop a stronger connection where those almost never used frequently die. 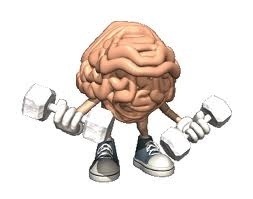 But what happens when a neuro connection gets stronger? What does that concretely mean? Norman Doidge explores in great extent the power and structure of our brain in his book The brain that changes itself and if you’re interested in neuroscience I strongly suggest to read it. But for now let’s look at the impact of talking therapy when it happens over a few years. As I explained in a previous post, when we revisit traumatic events from the past, we reinforce the neuroconnections associated with that memory. Which in turn reinforces the negative emotional impact and strengthens the behaviours and patterns that were created as a result. Take the example of a phobia; imagine you’re sitting in your psychotherapist office talking in great length about that fear, say for example around spiders. You go into details on where it first started, or how strong it is and how often you have it. As you describe those emotions, how are you likely to feel? you may notice your heart start pounding or you start sweating again. And would happen if at that time you were to spot a dark shadow in the corner of the room? yes, you would probably jump on your feet and scream because you might have believed it was a spider. Simply because in that moment your neuro-connections around that phobia have been triggered and reinforced, recalling and deepening every single emotions and reactions associated with it. So how do we change? I believe there is a point where dwelling on the issues becomes detrimental and not useful. Once we’ve understood the root cause and the impact it had, we need to heal the negative emotions and learn more useful and empowering new behaviours. The brain learns trough repetition and new habits, whether they are behavioural or thinking habits, are installed through being repeated consistently. The same way you learnt how to drive or ride a bike by practicing, we can practice new behaviours and thoughts processes and allow them to become automatic and replace the old unuseful ones. And of course the million dollar question is how do you do that? Then I would suggest to look into the behaviours and thoughts processes that came along those emotions and practice changing them implementing new unconscious strategies. You can use CBT or NLP for example, as it is essential to understand that healing the past sometimes needs to be combined with a “new training program” for the brain to make sure your behaviours and thinking also reflect your change work. That functional change happens through creating new neuro-connections and consistently practicing them to ensure their permanence. The brain learns very quickly and I really believe, having seen it hundreds of times with my clients, that it is possible to change life long issues in just a few months. After all, how long did it take you to learn to ride a bike? Why would learning a new behaviours or thought process should take any longer when it’s processed by the same brain?! Previous Previous post: Confident or Arrogant?